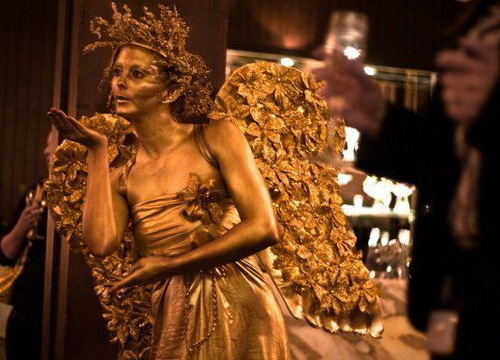 Hire a human statue to add some atmosphere and ambiance to your event. 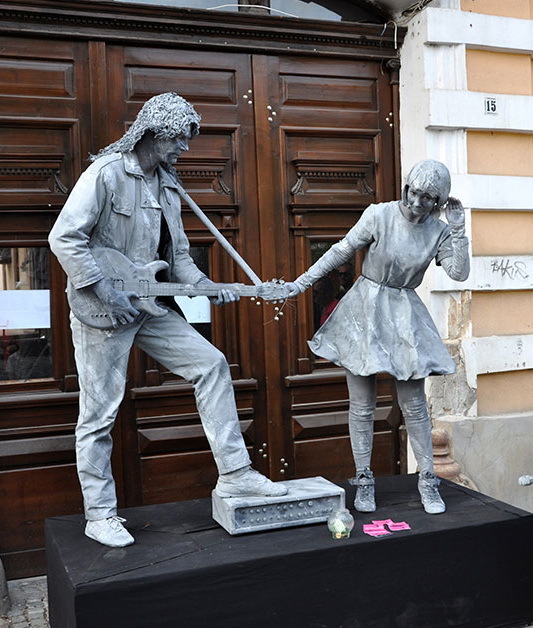 Select from a wide range of human statues, costumes and themes to liven up any event. Our stylists offer custom made solutions! 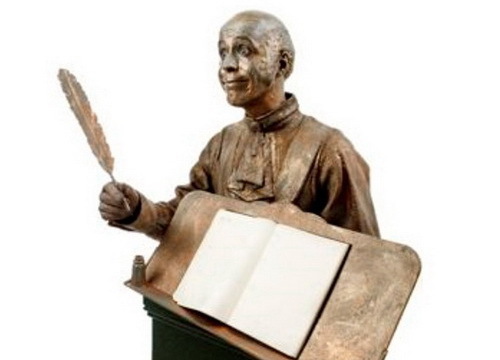 Contact us today for an obligation free quote and hire the most popular human living statues to impress your guests! 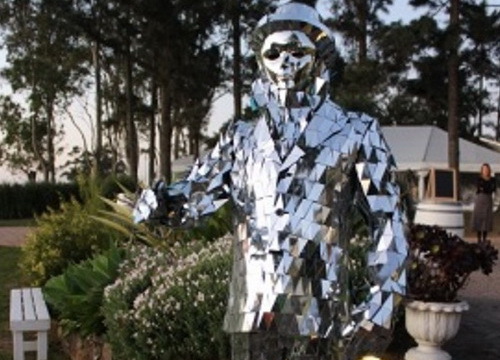 Hire a Human Living Statue to add some atmosphere and ambiance to your event. We offer a wide range of costumes to suit your event theme and style. Our stylists offer custom made solutions complete with creative podium bases that will turn heads and break the ice. 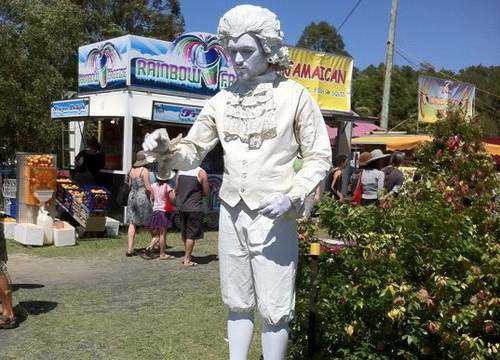 Available Australia wide, our living statues are the perfect addition for any event. Your guests will be left guessing "are they real?" 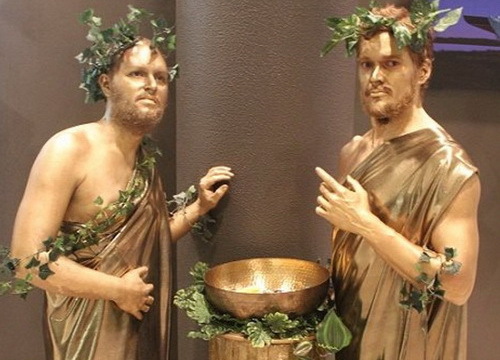 Living Statue ideas: Mediterranean, Italian, Royal Guard, Beauty and the Beast, Angels / Fairies, Statue of Liberty, Snow Queen, Toy Solider, 1920s Gatsby, Greek Goddess, Cupid, Busker, Gardener, Fisherman, Live Guest Book, Wedding Statues, Gladiator, Mermaid, Cowboy, Masquerade, Religious, Jockey, Princess, Garden Fountain, Olympics, Stone Statues, Butler, Gold Monk, Waiter, Top Hat and Tails, Rock n Roll, Greek Philosher, Grecians, Gold Statues, Classic, Venetian, Stone Acrobats, Digger, Thor, Musicial, Comical. The ideas are endless. If you have a particular idea or theme in mind, simply contact us. We would be happy to assist you!